Second Institutional Development and Agriculture Strengthening Project (MIDAS 2) got the approval of the Board of the Executive Directors of the International Bank for Reconstruction and Development on January 30, 2018. Loan Agreement between Government of MONTENEGRO and International Bank for Reconstruction and Development IBRD (World Bank) had been signed on March 08, 2018, (8820-ME). The Project had been declare effective on June 05, 2018, and joint opening of the Project, together with the representatives of the WB and Ministry of Agriculture and Rural Development (MARD) was on July 11, 2018, in Kolašin. The development objective of Second Institutional Development and Agricultural Strengthening Project for Montenegro is to improve the competitiveness of agriculture and fisheries in Montenegro through enhanced delivery of government support in alignment with EU accession requirements. This project has four components, of which three are implementation components and the fourth is Project management as follows. 1) The first component, Strengthening Ministry of Agriculture and Rural Development (MARD) agriculture, rural development and fisheries program, aims to (a) increase and diversify income generation opportunities for productive units, contribute to the creation of jobs, as well as improve resilience of productive units for adaptation to climatic pressures, and (b) support Montenegro for meeting Chapter 11 closing benchmarks. It has the following subcomponents: (i) Increasing and diversifying income opportunities through grants for agriculture, rural development and fisheries; and (ii) Strengthening the MARD toward fulfilling EU accession requirements. 2) The second component, Support for the Food Safety, Veterinary and Phytosanitary Services, aims to develop capacity for food safety, veterinary and phytosanitary services as part of the creation of an integrated food quality system which is consistent with European Union (EU) requirements. It has the following subcomponents: (i) Safe management of animal by-products; (ii) Strengthening the diagnostic capacity of the phytosanitary laboratory; and (iii) Support to inspection services. 3) The third component, Modernisation of the Fisheries Sector, aims to finance public sector investment aimed at achieving two objectives: (i) enhancing the productive capacity of the sector with investments in basic infrastructure and equipment that will provide fishermen with regulated safe, and sanitary landing facilities and access to port, and (ii) strengthening the institutional capacity to apply the CFP upon EU. The value of the Project is 30 mil EUR and it is planned for the Project to last from June 2018 to June 2023. Upon the invitation of the EU Delegation in Sarajevo and representatives of the World Bank, General Director of the Directorate for Payments in the Ministry of Agriculture and Rural Development and MIDAS Project Coordinator, Mr. Blagota Radulović and MIDAS Project Manager, Mr. Milos Sturanovic, attended the event “Agriculture and Rural Development – Challenges and Opportunities”, on May 26, 2016. The goal of the participation was presenting the successful implementation of the "Montenegro Institutional Development and Agriculture Strengthening" project, implemented by the Ministry of Agriculture and Rural Development, and financed by the World Bank (IBRD loan and GEF grant). 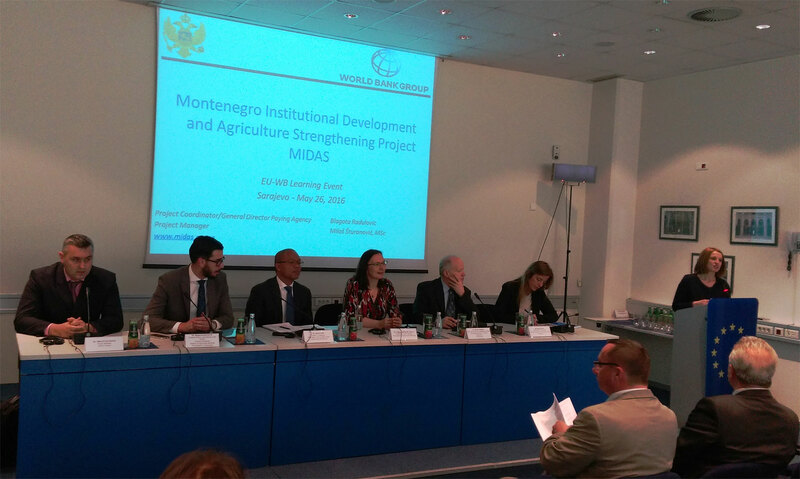 The main topic of the event was to share experience of the MIDAS project, to see broader picture of Montenegro’s EU accession process with specific reference to the sector agriculture and rural development and possible concept of this experience application in Bosnia and Herzegovina. Besides the representatives of MIDAS project from Montenegro, the event was attended by the World Bank regional office director for Bosnia and Herzegovina and Montenegro Mrs. Tatiana Proskuryakova, representatives of the World Bank team that monitors the MIDAS project Mr. Daniel Gerber and Ms Silvia Mauri, as well as representatives of the Ministry of Foreign Trade and Economic Affairs and the Ministry of Agriculture, Forestry and Water Management of Bosnia and Herzegovina. At the prepared presentation, colleagues from Sarajevo, have been presented with project’s objectives, implemented activities since the beginning of project implementation, achieved results and established structure within the Ministry of Agriculture and Directorate for Payments (Payment Agency). In addition to presenting the successful implementation of MIDAS project, the participants were introduced with development of the system and the steps taken towards the IPARD accreditation and thus the established structure of the Directorate for Payments, or in the future called Paying Agency. The experience obtained in Montenegro is, while bearing in mind very good and successful cooperation with the World Bank so far, additional arrangements are being made within the implementation of projects such as IPARD like 1 and 2 (the World Bank - Delegation of the EU - Ministry of Agriculture and Rural Development), for granting support for investments in primary production and processing industry. All aforementioned projects are examples of good practice in the field of agriculture and the principle of learning by doing, whose experiences can be useful to the other countries to provide helpful guidance for the implementation of similar projects. Within the MIDAS project, special emphasis is given to activities relating to the creation of a modern food safety system. In the previous period (since the beginning of 2015) there were held several workshops within the subcomponent of food safety, on which partially we informed the public over our website. With regard to the creation of this system, currently under the MIDAS project we have two active expert engagements, whose consulting services are mainly provided to the officials of the Veterinary Directorate of Montenegro. In late April, more precisely on April 23 in Bijelo Polje and on April 24 in Podgorica was held two- days workshop under the expert engagement Technical assistance for creation of legal framework and administrative and technical capacity-building on management of animal by-products, organized by the Veterinary Directorate and MIDAS project. The program of the workshop was related to the food business operators as opposed to previous training attended by employees of the Veterinary Directorate and veterinary inspectors. 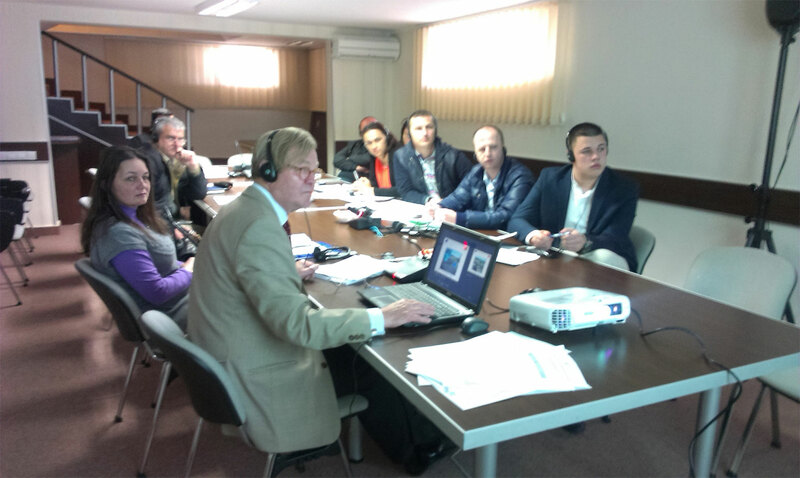 After a general introduction to the subject of the animal by-products, to the participants were presented the obligations of food business operators on the basis of the new Regulation on ABP, in particular regarding requirements for the separation, categorization, temporary storage and dispatch in establishments, where ABP derive, figures of ABP in slaughterhouses and provided information of the study ABP rendering/incineration plant for ABP. It was discussed also on implications for FBOs, as well as on possible solutions for management of animal by products. Presentation from the workshop can be downloaded here, and also take a look at two photos from the workshop. 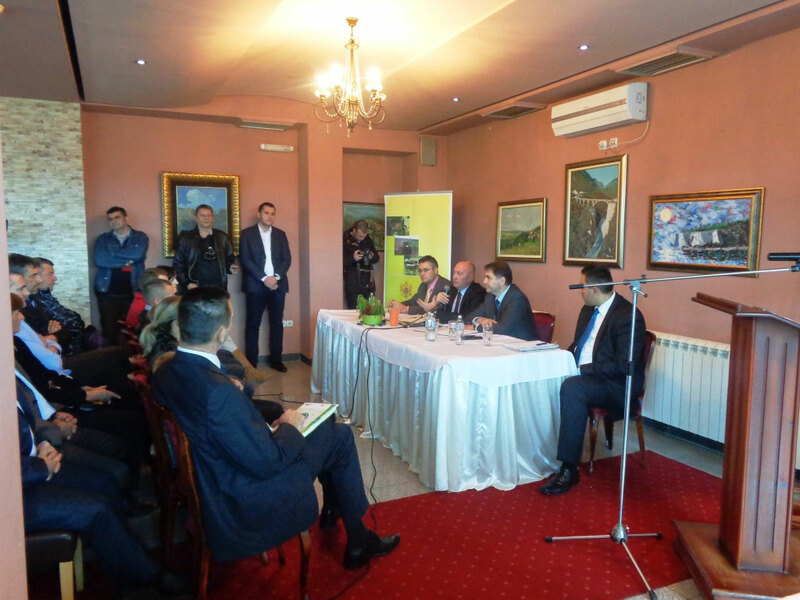 Ministry of Agriculture and Rural Development under the Fifth public call for MIDAS grants organized ceremonial signing of grant agreements on October 24, 2014, in Pljevlja municipality. Call for submission of applications for grant support under the Fifth call was opened from June 2 to July 17, 2014. Within this call 63 applications were received in the total amount of planned investment € 662.232,85, while the amount of potential grant support is € 331.116,42. Over the last months the MARD reviewed those applications and afterwards, the grant agreements were prepared for positively evaluated applications. On this occasion, the agreements were signed by applicants who were affirmatively evaluated during administrative and on– the-spot control, namely the MARD approved 43 projects, in the total amount of planned investment € 465.809,45, while the amount of potential grant support is € 232.904,72. The signatories were from 11 Montenegrin municipalities: Berane, Bijelo Polje, Danilovgrad, Mojkovac, Nikšić, Petnjica, Plužine, Pljevlja, Podgorica, Rožaje i Žabljak. In addition to the signatories –agriculture producers and their families, as well as representatives of the MARD, the Minister of Agriculture and Rural Development Mr. Petar Ivanović was attended at the event and on this occasion he visited several agricultural holdings in the municipality of Pljevlja. Eligible investments through the MIDAS fifth call, given that concerning the agri-environmental measures, will be financed by the grant funds from the GEF. The next phase is realization of these investments, which will also be the subjects of review of the MARD’s services, and after confirmation they are successfully implemented and in accordance with the set procedures, grant funds will be paid to farmers in the amount of 50 % of the amount of their investments. The public will be informed about this through our website, as it was the case so far. Ministry of Agriculture and Rural Development under the Fourth public call for MIDAS grants organized ceremonial signing of the first group of grant agreements on November 15, 2013, in the wine-cellar Šipčanik, „13 JUL PLANTAŽE“ A.D. Podgorica . Call for submission of applications for grant support under the Fourth call was opened from February 1 to April 30, 2013. Within this call 425 applications were received in the total amount of planned investment € 12.273.003,32, while the amount of potential grant support is € 6.136.501,66. Over the last months the MARD were intensely working on review and verification of submitted projects. This was followed by the ranking process, and thereafter the approved applicants signed agreements on grant support. On this occasion, the agreements were signed by applicants who were positively evaluated during administrative and on– the-spot checks, namely the MARD approved 244 projects, in the total amount of planned investment € 6.564.722,39, while the amount of potential grant support is € 3.282.361,20. In addition to the signatories – 244 agriculture producers from 20 Montenegrin municipalities, their families and the Minister of Agriculture and Rural Development, the ceremony attended by high officials of the Government of Montenegro, representatives of the World Bank, representatives from the industry and diplomatic corps, as well as representatives of the higher education institutions and other professional publicity. The signing ceremony was opened by Ms Anabela Abreu, Country Manager for the World Bank Office in Montenegro. On the ceremony the speakers were also Mr. Vučko Pešić, an eminent farmer from Bijelo Polje, Đorđije Goranović - the owner of the meat industry "Goranović" from Niksic, and the Minister of Agriculture and Rural Development, Mr. Petar Ivanović. The next phase is realization of these investments, which will also go through the review process of the MARD’s services, and after confirmation they are successfully implemented and in accordance with the set procedures, grant funds will be paid to farmers in the amount of 50 % of the amount of their investments. The public will be informed about this through our website, as it was the case so far. 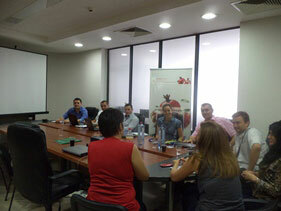 Under the MIDAS project, Montenegrin delegation consisting of representatives of the Ministry of Agriculture and Rural Development of Montenegro (Sector for Payment) was in a working visit to the Agency for Financial Support of the Agriculture and Rural Development (IPARD Agency) of Macedonia from July 8 – 12, 2013. The meetings were held with the purpose of introducing and sharing Macedonian experience in the area of IPARD Programme and IPARD accreditation process which expects Ministry of Agriculture and Rural Development and Sector for Payment (future IPARD agency). Representatives of the Ministry of Agriculture have already been several times on a study visit to this Agency in Macedonia and met a very positive experience and readiness of Macedonian colleagues to support the accreditation process and establishment of the Montenegrin IPARD Agency. The representatives from the Agency presented the procedures for implementing IPARD Programme, operational structure of the Agency and the responsibilities of its sectors. The meetings are expected to be the introduction in signing Agreement for cooperation between the Sector for Payment of the Ministry of Agriculture and Rural Development of Montenegro and the Agency for Financial Support of the Agriculture and Rural De velopment, which is exactly the proof of previous successful cooperation and future support and assistance in this area that representatives of Montenegrin side can expect. 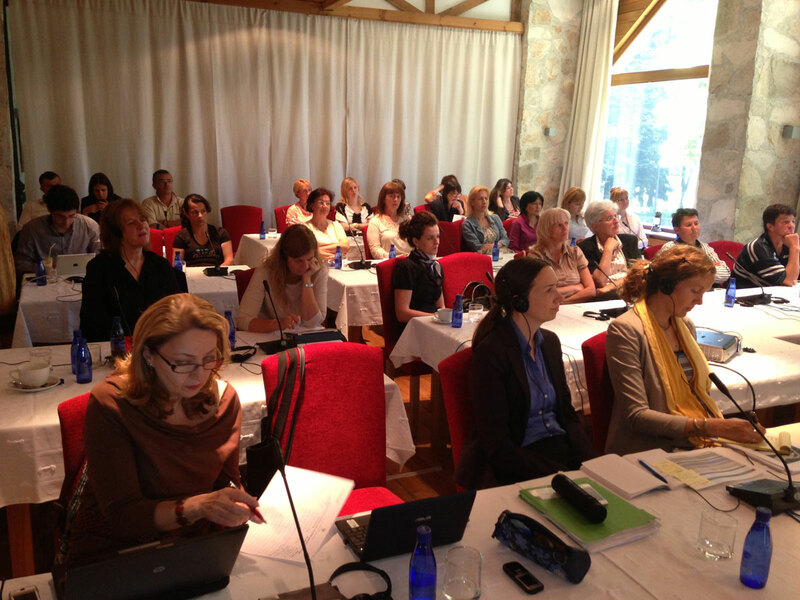 In order to promote gender equlity and advancement of women in agricultural activities, the workshop with the topic „Female Farmers in Montenegro“ was initiated and held on June 15 and 16, 2013, in Kolašin. 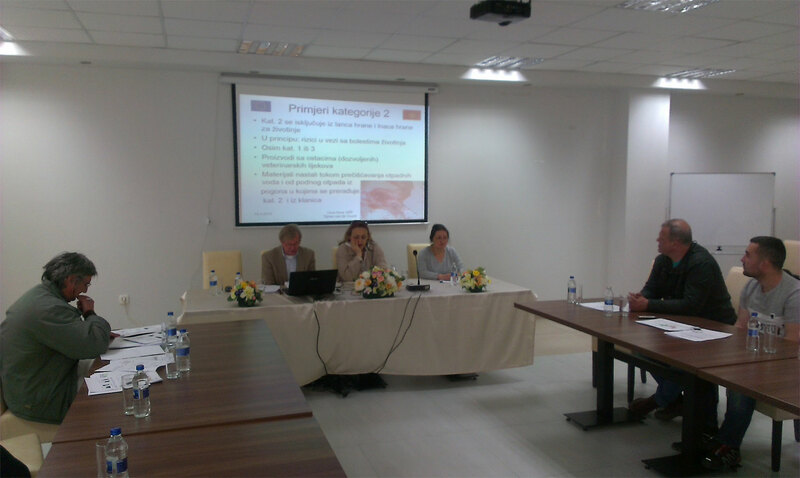 Ministry of Agriculture and Rural Development organized this workshop within the Montenegro Institutional Development and Agriculture Strengthening project (MIDAS project). The seminar was opened by the MIDAS project manager Mr. Miloš Šturanović, and Deputy Minister of Agriculture and Rural Development Mr. Blagota Radulović who spoke about the importance of supporting female farmers in Montenegro. Beside the representatives of MARD, the seminar was attended by the officers of the Plant Production Service, the Livestock Selection Service, the Ministry for Human and Minority Rights, the United Nations Development Programme in Montenegro (UNDP Montenegro), MIDAS Office, as well as 15 female farmers from all parts of Montenegro. The lecturers were, beside representatives from these institutions, the longtime World Bank experts in this area and the European Commission (DG Agri), who tried to present and to bring good practice in Europe and in Balkans, the legal framework and the EU acquis communautaire and to emphasize the importance of the role of women in agriculture. The aim of this workshop was to raise awareness about the economic empowerment and the association of women in agricultural activities. Representatives of Montenegrin institutions presented the legal framework for gender equality in Montenegro, support programs where women can participate, as well as general conditions in agriculture in Montenegro, obstacles and opportunities for improvement. Ministry of Agriculture and Rural Development, in collaboration with the Ministry for Human and Minority Rights (the Gender Equality Department) and the UN Agency for Gender Equality (UN WOMEN), participated in project development of the „Program for better employability of women in rural areas of Montenegro“, which aims to improve the position of women in rural areas. The Program reffers to the period from 2013 to 2016 and defines the priority objectives, measures and activities which will lead to the better economic participation of women in rural areas and provide more income and better living conditions of this segment of population. Its development was made possible thanks to the strong cooperation of different ministries and institutions, and the use of all existing potentials and past experiences. Payment of grant funds under the First public call has been continued. Until June 4, 2013 grant funds were paid to 236 agriculture producers who successfully completed their investments. The total amount of 236 completed investments is € 4.431.932,30 while the amount of grant support is € 2.215.965,69 €. Further payments will be continued upon completion of remaining contracted projects. Grant funds for the first group of successfully completed investments under the Second MIDAS GEF call were paid. Funds were paid to 14 farmers who successfully completed their investments. The total amount of 14 completed investments within the Second MIDAS GEF call is € 102.225,65, while the amount of grant support is € 61.335,38. It is expected further payments for successfully implemented investments. Ministry of Agriculture and Rural Development under the Third public call for MIDAS-GEF grants organized ceremonial signing of the first group of grant agreements on May 20, 2013, in the Hotel „Podgorica“. Call for submission of applications for grant support under the Third call and agro-environmental measures Agri-environmental investment on mountain agricultural holdings and Manure management and prevention of erosion was opened from October 15, 2012 to January 15, 2013. On this occasion, 23 successful producers signed grant agreements, in the total amount of planned investment € 246.749,02, while the amount of potential grant support is € 148.040,42. The Minister of Agriculture and Rural Development, Prof. Dr. Petar Ivanovic, attended this signing and took the opportunity to consider ways how to improve functioning of farms through direct discussion with farmers, and also encouraged producers to submit proposals that would help the design of future measures for support to them. This event was an opportunity to continue with the signing of the grant agreements with successful farmers within the Second call. Besides 98 previously signed, agreements were signed by additional 6 successful applicants. The total amount of planned investments, based on the 104 signed agreements to date, is € 1.104.733,19, which means that if all the investments are implemented in accordance with the prescribed procedure, the producers who signed agreements under the Second call will be refunded € 662.596,03. It is expected further signing of Grant Agreements with successful producers under the Second and Third calls, funded by the Global Environment Facility (GEF) within the MIDAS project. Payment of grant support has been continued. Under the First public call, grant supports have been paid to 230 agriculture producers who successfully completed investments, until April 25, 2013. The total value of 230 completed investments is € 4.290.329,24, namely € 2.145.164,16 as total grant support amount. Ministry of Agriculture and Rural Development has continued signing of Grant Agreements with successful applicants within the Second public call for MIDAS GEF grants. 98 agriculture producers signed grant agreements, until April 22, 2013. The total amount of planned investments, based on these 98 grant agreements is € 1.005.123,55 €, which means that if all investments are implemented in accordance with the prescribed procedure, to the producers who signed agreements will be refunded € 602.830,20. It is expected further signing of Grant Agreements with successful applicants, under the Second public call. Under the Second public call for MIDAS GEF grants, Ministry of Agriculture and Rural Development has continued signing of Grant Agreements with successful applicants. 88 agriculture producers signed grant agreements, until March 25, 2013. The total amount of planned investments, based on these 88 grant agreements is € 811.345,41, which means that if all investments are implemented in accordance with the prescribed procedure, to the producers who signed agreements will be refunded € 486.563,32. Under the MIDAS grant program and the First public call for grant support, Ministry of Agriculture and Rural Development has signed in total 292 Grant Agreements with successful agriculture producers (there were more signed agreements but in the meantime the producers withdrew), until March 22, 2013. The total amount of planned investments, based on these 292 Grant Agreements is € 6.512.752,67, which means that if all investments are implemented in accordance with the prescribed procedure, to the producers who signed Agreements will be refunded € 3.256.376,60. Under the First public call, payment of grant support is continued. Grant support have been paid to 216 agriculture producers who successfully completed investments to date, until March 14, 2013. The total value of 216 completed investments is € 3.792.406,34, namely € 1.896.202,79 as total grant support amount. Further payment of funds from the MIDAS grant support, under the First public call for grant support, is continued. Funds of the MIDAS grant support have been paid to 213 agriculture producers who successfully completed investments so far, until February 21, 2013. The total amount of 213 completed investments is € 3.681.299,55, namely € 1.840.649,31 as total grant support amount. Ministry of Agriculture and Rural Development under the Second call for MIDAS-GEF grants continued signing of grant agreements, as previously planned. 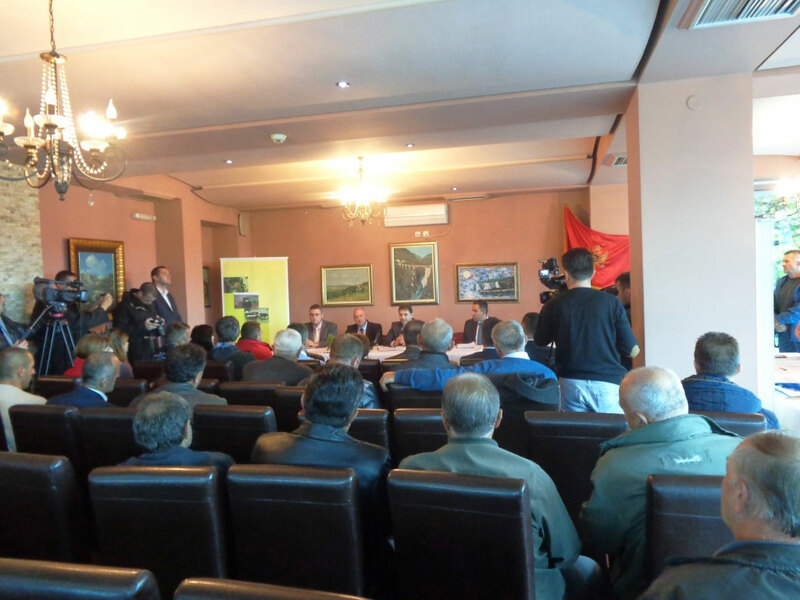 After last week's signing in Nikšić, ceremonial signing of grant agreements was organized in municipality of Bijelo Polje, on February 11, 2013, for the producers on the territory of this municipality and the municipalities, who tend to this center. At this event was also present the Minister of Agriculture and Rural Development, Prof. Dr. Petar Ivanović, who took the opportunity to become more familiar with the farmers, both, at the event of agreements signing and when visiting three farms in the municipality of Bijelo Polje. The agreements were signed by 42 producers from 6 municipalities such as Bijelo Polje, Berane, Andrijevica, Plav, Rožaje and Kolašin. The total amount of investments for these 42 grant agreements is € 331.196,26, while the amount of grant support is € 198.717,76. Public call for submission of applications for grant support under the Second Call and agro-environmental measures Agri-environmental investment on mountain agricultural holdings and Manure management and prevention of erosion lasted from July 15 to September 15, 2012. Ministry of Agriculture and Rural Development has continued with signing of Grant Agreements, under the First public call, and until February 11, 2013, there are 301 signed Agreements (there were more signed agreements but in the meantime the producers withdrew). The total amount of planned investments, based on these 301 Grant Agreements is € 6.947.228,19, which means that if all investments are implemented in accordance with the prescribed procedure, to the producers who signed Agreements will be refunded € 3.473.614,09. It is expected further signing of Grant Agreements. Ministry of Agriculture and Rural Development under the Second call for MIDAS-GEF grants organized ceremonial signing of grant agreements on February 4, 2013 in Nikšić. The Minister of Agriculture and Rural Development, Prof. Dr. Petar Ivanovic, attended this signing and took the opportunity to become better acquainted with the successful farmers both at this event of agreements signing and when visiting four farms in the municipality of Nikšić. The agreements were signed by 35 producers from 8 municipalities Nikšić, Podgorica, Danilovgrad, Ulcinj, Pljevlja, Plužine, Šavnik and Žabljak. The total amount of investments for these 35 grant agreements is € 371.588,06, while the amount of grant support is € 222.952,83. Public call for submission of applications for grant support under the Second Call and agro-environmental measures Agri-environmental investment on mountain agricultural holdings and Manure management and prevention of erosion lasted from July 15 to September 15, 2012. Signing ceremony under the Second call for MIDAS GEF grants will be continued in Bijelo Polje on February 11, 2013.
project) announces IV (Fourth) Call for grants. Within a framework of this Call, the applications will be submitted in the period from February 01 to April 30, 2013. Upon submission of applications, it will be followed by administrative and on the spot control and signing of grant agreements. Thereafter, the producers can start with the concrete implementation of the investment. Provided funds for this Call is amount of 1,6 mil €. Approved investments will be supported with 50% of grant support. The amount of eligible investment is from 10,000 to € 70,000. In the framework of this Call will be organized public awareness campaign, where the majority of Montenegrin municipalities will be visited and introduced application process. Besides the staff in the Ministry of Agriculture and Rural Development, Plant Production Service, Livestock Selection Service and agriculture services within municipalities will assist applicants as well, in order to prepare documentation for the Call. In appendix is the Announcement for the IV Grant Call including all necessary information and contacts, and Grants Operational Manual together with the set of related application documents. Further payment of funds from the MIDAS grant support is continued. Funds of the MIDAS grant support have been paid to 207 agriculture producers who successfully completed investments so far, until December 31, 2012. The total amount of 207 completed investments is € 3.609.676,91, namely € 1.804.838,06 as total grant support amount. Ministry of Agriculture and Rural Development has continued with signing of Grant Agreements, and until December 13, 2012, there are 306 signed Agreements (there were more signed agreements but in the meantime the producers withdrew). The total amount of planned investments, based on these 306 Grant Agreements is € 7.080.062,03, which means that if all investments are implemented in accordance with the prescribed procedure, to the producers who signed Agreements will be refunded € 3.540.031,26. Further payment of funds from the MIDAS grant support is continued. Funds of the MIDAS grant support have been paid to 196 agriculture producers who successfully completed investments so far, until November 19, 2012. The total amount of 196 completed investments is € 3.378.787,71, namely € 1.689.393,37 as total grant support amount. Further payment of funds from the MIDAS grant support is continued. Funds of the MIDAS grant support have been paid to 187 agriculture producers who successfully completed investments so far, until October 22, 2012. The total amount of 187 completed investments is € 3.155.919,12, namely € 1.577.959,07 as total grant support amount. Further payment of funds from the MIDAS grant support is continued. Funds of the MIDAS grant support have been paid to 175 agriculture producers who successfully completed investments so far, until September 21, 2012. The total amount of 175 completed investments is € 2.853.232,25, namely € 1.426.615,63 as total grant support amount. Funds of the MIDAS grant support have been paid to 165 agriculture producers, until August 10, 2012, who successfully completed investments. The total amount of 165 completed investments so far is € 2.552.503,91, namely € 1.276.251,44 as total grant support amount. Funds of the MIDAS grant support have been paid to 149 agriculture producers, until July 19, 2012, who successfully completed investments. The total amount of 149 completed investments so far is € 2.199.931,54, namely € 1.099.965,24 as total grant support amount. Second Call for MIDAS - GEF grants has been published on June 30, 2012.
with a note: "The application for the Second Call for grant MIDAS-GEF project". Ministry of Agriculture and Rural Development has continued with signing of Grant Agreements, and until June 13, 2012, there are 305 signed Agreements. The total amount of planned investments, based on these 305 Grant Agreements is 7.206.794,99 €, which means that if all investments are implemented in accordance with the prescribed procedure, to the producers who signed Agreements will be refunded 3.603.397,38 €. Funds of the MIDAS grant support have been paid to 128 agriculture producers, until May 28, 2012, who successfully completed investments. In addition to earlier completed 118 investments, 10 investments are successfully completed now. The amount of completed investments of these 10 producers is € 194.276, 44, while the awarded grant support is in the amount of € 97.138, 23. The total amount of 128 completed investments so far is € 1.712.795, 53, namely € 856.397,22 as total grant support amount. Until April 11, 2012, grant supports have been paid to 118 agriculture producers, who successfully completed investments under MIDAS project. In addition to earlier completed 100 investments, 18 investments are successfully completed now. The amount of completed investments of these 18 producers is € 257.327,21, while the awarded grant support is in the amount of € 128.663,62. The total amount of 118 completed investments so far is € 1.518.519,09, namely € 759.258,99 as total grant support amount. Further payments for successfully implemented investments are expected next weeks. Ministry of Agriculture and Rural Development has continued with signing of Grant Agreements, and until March 29, 2012, there are 296 signed Agreements. The total amount of planned investments, based on these 296 Grant Agreements is 6.910.072,63 €, which means that if all investments are implemented in accordance with the prescribed procedure, to the producers who signed Agreements will be refunded 3.455.036,32 €. Grant supports have been paid for 100 agriculture producers, who successfully completed investments under MIDAS project, until February 23, 2012. More precisely, in addition to earlier completed 79 investments, 21 investments are successfully completed now. The amount of completed investment of these 21 producers is € 287.224,71, while the awarded grant support is in the amount of € 143.612,37. The total amount of 100 completed investments so far is € 1.261.191,88, namely € 630.595,37 as total grant support amount. Ministry of Agriculture and Rural Development has continued with signing of Grant Agreements, and until February 23, 2012, there are 286 signed Agreements. The total amount of planned investments, based on these 286 Grant Agreements is 6.635.581,75 €, which means that if all investments are implemented in accordance with the prescribed procedure, to the producers who signed Agreements will be refunded 3.317.790,88 €. Signing of Grant Agreements will be continued in the following weeks. Until February 20, 2012, there are 79 successfully completed investments under MIDAS project. In addition to earlier completed 75 investments, 4 investments are successfully completed now. The amount of completed investment of these 4 producers is € 44.215,78, while the awarded grant support is in the amount of € 22.107,89. The total amount of 79 completed investments so far is € 973.965,95, namely € 486.983,00 as total grant support amount. According to previous plan, successfully completed investments under MIDAS project, until February 14, 2012, are 75 in total. In addition to earlier completed 69 investments, 6 investments are successfully completed now. The amount of completed investment of these 6 producers is € 82.741,08, while the awarded grant support is in the amount of € 41.370,55. The total amount of 75 completed investments so far is € 929.750,17, namely € 464.875,11 as total grant support amount. According to previous plan, successfully completed investments under MIDAS project, until December 31, 2011, are 69 in total. In addition to earlier completed 26 investments, 43 investments are successfully completed now. The amount of completed investment of these 43 producers is € 508.619,32, while the awarded grant support is in the amount of € 254.309,72. The total amount of completed investments so far is € 847.009,09, namely € 423.504,64 € as total grant support amount. Ministry of Agriculture and Rural Development has continued with signing of Grant Agreements. Until December 29, 2011, there are 267 signed Agreements. The total amount of planned investments, based on these 267 Grant Agreements is 6.126.458,79 €, which means that if all investments are implemented in accordance with the prescribed procedure, to the producers who signed Agreements will be refunded 3.063.229,40 €. Signing of Grant Agreements will be continued at the beginning of next year. Pdf document in the appendix. Allocation of grant support to farmers who participated in the MIDAS program is continued, as previously planned. Funds on the bank accounts received another six agriculture producers who have successfully completed the investment, in addition to the first 20 who received the funds in the mid-December 2011. The amount of completed investment of these six producers is € 136,655.60, while the awarded grant support is in the amount of € 68,327.81. The total amount of completed investments so far is € 338.389,77, namely € 169.194,92 as total grant support amount. Under the grant support program (MIDAS grant program), realized by the Ministry of Agriculture and Rural Development together with the World Bank and within the MIDAS project, after successful completion of previously approved investments, grant supports for 20 farmers who have successfully completed the investment so far are paid. All this was preceded by the process of control by the Ministry’s authorities and services, both documentation review and on-spot control were performed before and after the completion of the investment. When it is determined that all items are made ​​in accordance with the MIDAS Grant Operational Manual, it is started with the process of payments realization. The total amount of implemented investments for these 20 producers is € 201,734.17, while the awarded grant support is in the total amount of € 100,867.11. List of paid grant support, until December 15, 2011 (PDF doc). Until December 1, 2011 there are 246 signed Grant Agreements. The total amount of planned investments, based on these 246 Grant Agreements is 5,274,045.67 €, which means that if all investments are implemented in accordance with the prescribed procedure, to the producers who signed Agreements will be refunded 2,637,022.84 €. The activities of the Ministry of Agriculture and Rural Development are continued by signing these Grant Agreements, whereby within MIDAS project, Montenegrin agricultural producers, defined by this year's Agro-budget, are going to be strengthened. agricultural holdings, which is carried out under the Montenegro Institutional Development and Agriculture Strengthening Project - MIDAS, funded by World Bank loans. Call for applications submission was held from 15 April to 13 July 2011, and 780 applicants have taken part in this call. agricultural producers, defined in Agro-budget for this year. the agreed procedure realized, and all in accordance with the Grants Operational Manual - MIDAS project. The following signing of the Grant Agreements for MIDAS project will be continued in forthcoming period. 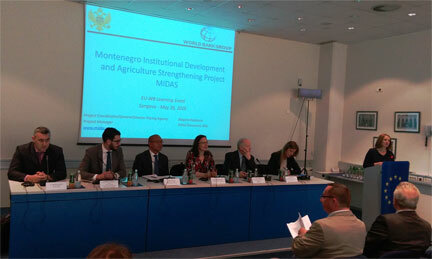 The Government of Montenegro and the MAFWM, as the implementing entities, entered into the loan arrangement with the World Bank, under the title “Montenegro Institutional Development and Agriculture Strengthening” (MIDAS Project), which is aimed at preparing Montenegrin agriculture and its institutions for the future membership of the EU. Total value of the Project is 17.1 million €. The Project will be implemented over the period from 2009 – 2014.